So you think you can choreograph? It takes a lot more work than you think to choreograph jaw-dropping numbers for Hamilton or the hottest moves for J. Lo’s next tour. You’ll start off perfecting your own dance technique before you make sure dancers in your pieces keep their toes pointed on every mark. And as you debate which dance program to turn to, you’ll need a university that lets you explore your creativity while building on your dance skill-set. These best schools for aspiring choreographers will give excellent dance training, facilities to explore your creative space, performances for you to showcase your latest work and incredible choreographers to learn from every day. Ready to become the next Gene Kelly? Point your toes to the 10 best colleges for aspiring choreographers. Choreograph your way to the top of your graduating class at VCU Arts. Ninety of the 120 credits you need to graduate with a B.F.A. in Dance and Choreography will have you in the studio dancing. VCU dance and choreography majors must take two technique classes daily, either modern or ballet, throughout the four years. Or they can opt to take the Creative Track, where aspiring choreographers take seven semesters learning experimental and traditional processes. VCU brings in international guest choreographers from places like India and South Africa. This year, renowned choreographers Gregory Maqoma and Paloma McGregor will help students build their repertoire. Students develop their choreographic potential through taking classes in improvisation, composition and dance form. When they have shown proficiency in these areas, senior students use their newfound skills to showcase their choreography in the Senior Concert every fall and spring. By graduation, each student finds their individual voice as a dancer in both choreography and improv. And they’ll be prepared for any dance battle or workshop that comes their way. Some of the best choreographers in the biz could come from the Heartland. “I received excellent training to succeed in the performing arts business. This program is a must for anyone going into the entertainment industry,” said OCU dance major Valerie Moore. Aspiring choreographers also study the creative elements of movement, and how to choreograph while considering style, music, audience and cultural influences. OCU offers a Student Choreography Show once a year where students display their best dances on stage, and it’s always a school favorite. The professors prepare their students well for this show in the Choreography Theory and Performance classes, so don’t worry if you start to feel the pressure. Or if you want your choreography to inspire other budding dancers, earn an American Dance Teacher degree. Temple University prides itself on transforming dancers into technically proficient choreographers. In their sophomore year, dancers dive into choreography technique with Dance Composition I and II classes. The program also highlights modern dance, ballet and African dance; optional classes include hip hop and improv. Classes like Movement Improvisation, Dance Composition and Creative Processes in Dance teach students cutting-edge choreography skills. Temple students display their best choreography in three different shows throughout the semester: the Student Dance Concert, the B.F.A. Dance Concert and the Endings Dance Showcase. These concerts incorporate only the best choreography selections, so students work hard to push the limits of their creativity. Through networking, dancers gain access to every performance and choreographer available in Philadelphia from Rennie Harris Puremovement to the Pennsylvania Ballet. Contemporary choreographers thrive at the Boston Conservatory at Berklee. The core curriculum for the Contemporary Dance Performance B.F.A. includes movement training, cross-conservatory studies, as well as components in academics, creativity and body-knowing. The Creative Component hones in an each dancer’s artistic voice to bring out their inner choreographer. The professors at the Conservatory help students develop their own artistic style through collaboration and leadership, plus a deep understanding of the choreographic process. The Conservatory hosts guest choreographers each year, including Darrell Grand Moultrie, choreographer for Beyoncé, and Keith Thompson, artistic director at danceTactics. Choreographers show off their stuff at three shows every year: the Senior Choreographers’ Concert, Winterworks and Limitless. At the Senior Choreographers’ Concert, only the best performances hit the stage. Between the historic, artsy city and dedicated teachers who produce cutting-edge artists, even your dreams will flood with inspiration. Fordham University and The Ailey School came together to bring students an innovative dance program coupled with liberal arts studies. Beginning in sophomore year, students can take dance composition classes and repertory workshops to prepare for an optional, but highly recommended, Independent Study in Choreography. Students work with renowned choreographers like Stefanie Batten Bland and Nicholas Villenueve from the Alvin Ailey School with a focus on modern and ballet. Ailey’s choreography lab provides students with a space to work with choreographers free from any restrictive expectations. The Ailey School also provides students with teaching opportunities in Junior Division classes, where students must consistently create new dances for younger students to perform. Alumni revolutionize the dance world through working with renowned companies like Cirque de Soleil, the Martha Graham Dance Company and the Radio City Rockettes. Juilliard’s intense five percent acceptance rate basically guarantees you learn and work with the best of the best in the dance biz. Dance majors at Juilliard study ballet for four years, plus various modern, jazz, tap, and hip-hop classes. 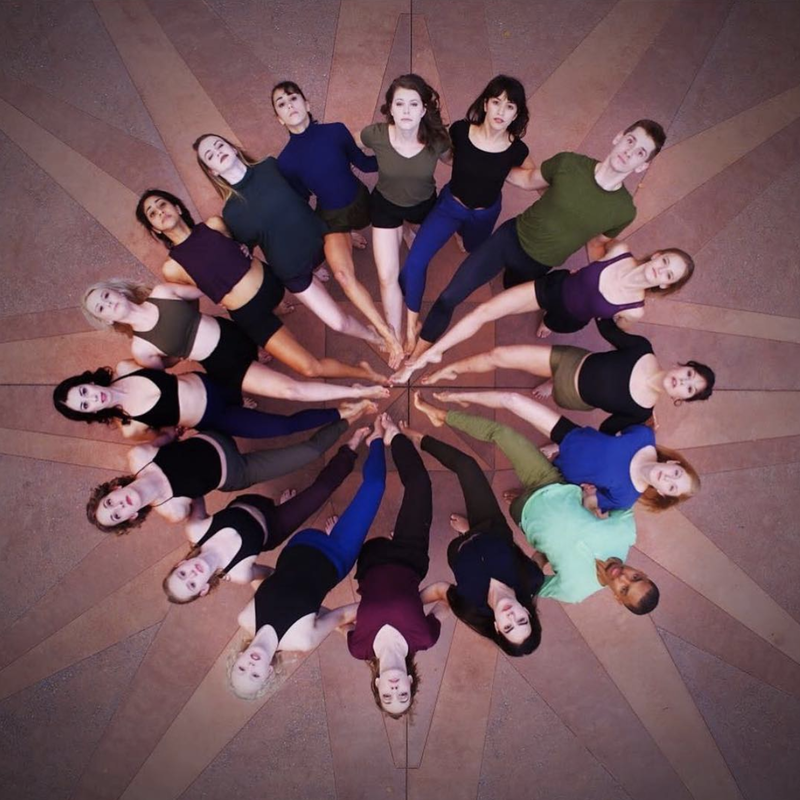 Classes like Dance Composition, Ballet Technique and Contact Improvisation begin to transform from dancers to choreographers. Every year, Juilliard students put on Choreographers and Composers, where six pairs of choreographers and composers collaborate to each create their own performances. Seniors show off their choreography skills in the annual Senior Production and Senior Showcase, two shows put on entirely by the graduating students. The Senior Production provides fourth-year students with the opportunity to produce and choreograph their own show, while third-year students act as stage managers and dancers. In the Senior Showcase, graduating seniors each perform their own solos or duets. Aspiring choreographers dive deep into the relationship between music and dance at Florida State. One of the core requirements of the B.F.A. in dance involves 10 credit hours focusing on Composition and Repertory. Before they even get to sharpen their choreography knowledge and skills, they need approval from a professor to start this sequence of classes. “I am so thrilled to study dance in comfortable, yet challenging and thought-provoking place,” FSU dance major Brittany Hower said. Right in Montgomery Hall, you’ll find the Maggie Allesee National Center for Choreography (MANCC), a dance and choreography research center that brings in choreographic fellows and creative residencies. Guest choreographers travel from far and wide to educate young choreographers in Tallahassee through MANCC. This year, Susana di Palma, a flamenco choreographer from Spain, will continue developing her contemporary flamenco duet entitled Casita, while also teaching students how to choreograph this challenging dance genre. Choreograph with inspiration from the gardens of Versailles through the FSU Dance in Paris Program. Or expand your choreography knowledge by learning Valencian folk dancing and Flamenco with FSU’s Dance in Valencia Summer Program. Pace University prepares its students to choreograph anything from Broadway productions to commercials with a B.F.A. in Commercial Dance. Pace understands the dancers and choreographers of today need to prepare for the needs of the current dance industry with theater dance, aerial arts and choreography classes. But of course, students still train in ballet, jazz, tap and contemporary, too. Dancers use the techniques they learned to perform and choreograph over 50 annual productions. Pace’s highly-selective Dance Out Loud and Dancespace concerts require dancers and choreographers to audition a production that showcases every genre of dance. Students can travel to L.A. during the summer to work with award-winning choreographers like Mandy Moore of So You Think You Can Dance and La La Land. At Pace, students also learn from Tony Award-winning choreographer Jerry Mitchell and Cirque du Soleil choreographer Cherice Barton. Who knows? Pace graduates might find themselves choreographing the next Emmy-winning musical or movie. Mamma (Mia) we made it. The NYU Tisch School of the Arts’ fast-paced dance program trains professional dancers in three years. And the final year is entirely dedicated to choreography. Students begin taking dance composition classes in their first year, where they develop their ideas and learn how to choreograph along to musical phrases. “NYU has so many students that go on to become famous dancers and choreographers. The three short years trying to learn everything you can about dance definitely prepare you for the fast-paced world of dance,” said NYU dance sophomore Amanda Parker. Along with those choreography classes, third-year students get professional dance experience as members of Tisch’s Second Avenue Dance Company. In “Choreographers, Composers and Designers Workshop,” student choreographers collaborate with lighting and costume design teams and musical theater writing students to put on a performance. This class requires intense creativity. Your three years at NYU will fully prepare you for a career as a choreographer at places like the Sean Curran Company or the American Ballet Theatre. Show off your choreography before you even graduate at UNCSA. UNCSA puts on several student choreographed shows throughout the year. In Emerging Choreographers, students create and perform contemporary group dances and solo pieces in Winston-Salem and NYC. 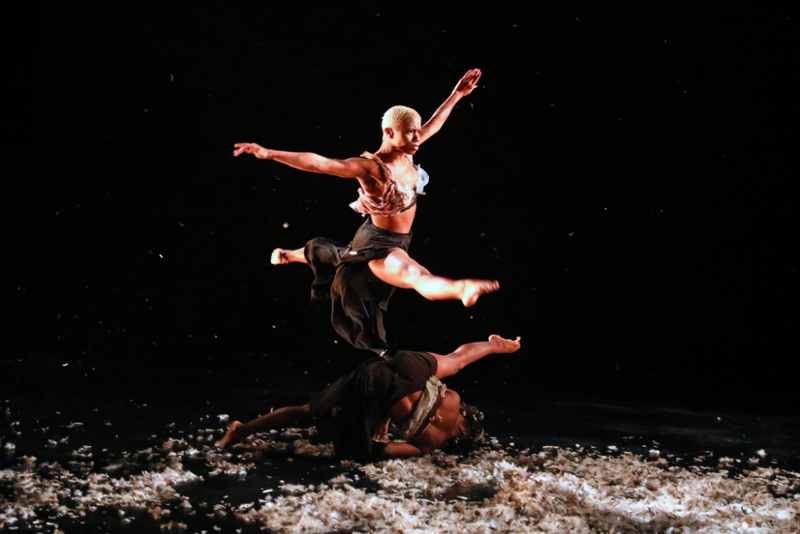 Pluck Project showcases UNCSA solos and group dances in New York City. While there, they can learn new choreography from brilliant teachers and build connections within the dance world. As a part of the Dance Composition and Improvisation course, third-year dancers showcase their small group dances set to music by students from the School of Music. Then they put on the annual M3 Spree show. UNCSA dance major Laura Nelson said, “The UNC School of the Arts has its own special budget and faculty, which provides the students with so many collaborative opportunities.” UNCSA dance majors must take business perspectives classes that teach them resume building, networking and money management skills. Knowing these real-world skills gives UNCSA aspiring choreographers a leg up in the job market. Junior studying English at the University of Florida. Passionate about writing, playing guitar, and traveling. Also loves eating empanadas and binge watching Friends.